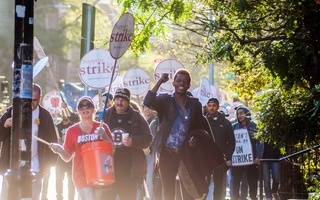 The Boston City Council unanimously voted to support the Harvard University Dining Services workers’ strike at their meeting on Wednesday in a resolution introduced with an impassioned plea by the Council’s president, an alumna of the College and Law School. The strike is entering its third week as the “University and the Union continue to meet with mediators,” University spokesperson Tania deLuzuriaga wrote in an email. The resolution put forth by City Council President Michelle Wu ’07 was met with vocal support by many of her fellow councillors, and loud cheers from a crowd supporting UNITE HERE Local 26, the Boston union representing Harvard’s dining workers, often broke out during the meeting. 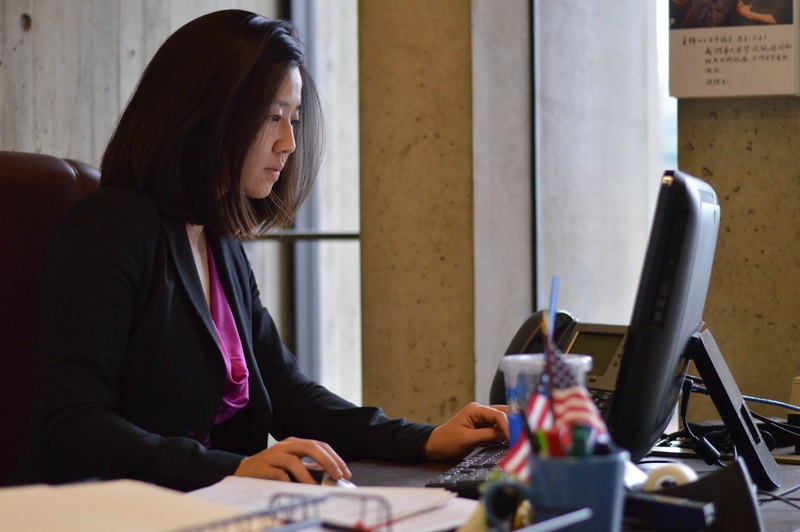 Michelle Wu, pictured here in spring 2015. Wu spoke about the personal nature of her appeal to the Council and the connections she remembers students fostering with dining hall staff during her time at the College. In an interview with The Crimson, Wu, a former Currier House resident, reflected on moving into Harvard and developing relationships with employees in the dining hall. She said that she was “happy” to speak with workers about their experiences and would be willing to walk with them in support. Several of the city councillors, who added their names in support of the resolution one by one, criticized HUDS employees' salaries; those employees make, on average, are roughly $34,000 per year, according to deLuzuriaga. Local 26 estimates that number is closer to $31,000. Councillors framed these figures with the size of Harvard’s endowment, which recently fell to $35.7 billion. “Instead of studying hard for the test, why don’t you go ahead and actually take the test, and do right by the people who are your workers?” Jackson said during the meeting. However, deLuzuriaga wrote in a statement that Harvard is constrained in how it can utilize much of the funds. Rules and conditions placed by donors on their gifts stipulate how most funds can be used. The City Council’s resolution also noted that the dining workers had received the support of the College’s Undergraduate Council, which voted to endorse the strike in early October. Former UC leaders also published an op-ed in the Huffington Post on Wednesday, adding their names to the list of strike supporters. The letter was signed by the former presidents and vice presidents of the UC from the Classes of 2011 through 2016. 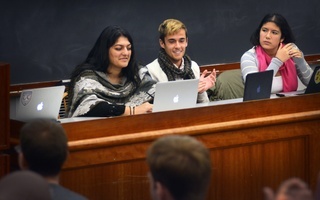 Across the Charles River from Boston, members of the Cambridge City Council also focused on the size of Harvard’s endowment when they voted to support the potential HUDS strike at a meeting in late September, prior to the strike's beginning. —Staff writer Andrew M. Duehren contributed reporting to this story. Asking people to come in from other parts of the university is an escalation comparable to a situation in which the union might intimidate people in the process of their crossing picket lines. Some alumni, who say they think the University is treating its employees unfairly, are pledging to withhold donations from Harvard and contribute directly to the union representing HUDS.